We’ve all wondered how a band got their name a time or two, and thanks to Mark Hoppus, it seems we’ve finally cracked the case on how Arizona’s resident good guys in the Maine, got their name. Last Week, blink-182’s Mark Hoppus did some investigating on the Maine’s curious band name. It’s no secret the band’s from Arizona, so after Mark’s great sleuthing, it got everyone wondering what on earth is up with their band name? You guys????. I’ve been working overtime⏱ on this case??? ?, ??????? ?‍♂️ and after a great deal of sleuthing???? and cold research???? , I can now confirm✔️ that the band???? “The Maine”???? has been lying??? ?, and is, in fact, from ARIZONA????!! 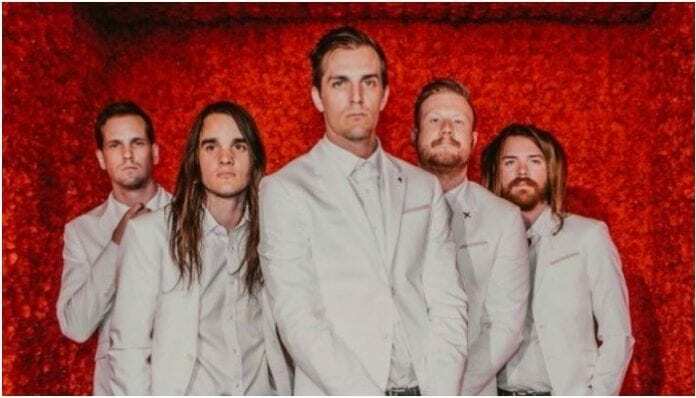 Luckily for us, the Maine didn’t make us wait too long for an explanation on their band name. It would be way cooler if we had a grand story about how we got our band name but it was really simple. We needed a name before a show we had booked in a week and we loved a song called “Coast of Maine” by a band called Ivory so we went with “The Maine” John covered the song a few years ago. Some of you might not of heard it. Hope you enjoy!!!! Next articleCould Slipknot be touring with All That Remains?